Sen. Dean Heller, Gov. Matt Mead and Rep. Rob Bishop are among the top candidates reportedly considered to replace Interior Secretary Ryan Zinke. Bishop played a big role in getting President Donald Trump to shrink national monuments created by Presidents Barack Obama and Bill Clinton. 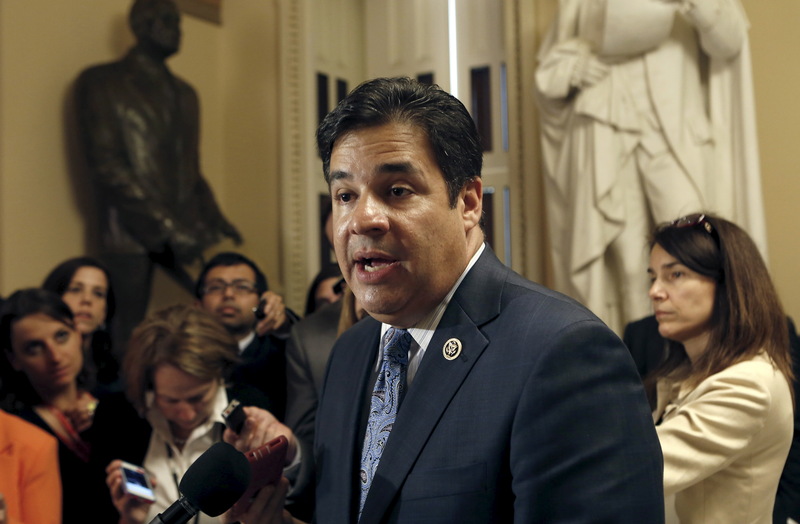 Idaho Rep. Raul Labrador is also among the top candidates to replace Zinke. The White House is reportedly considering a long list of candidates to replace outgoing Interior Secretary Ryan Zinke, who will step down by the end of 2018. Interior secretaries are usually pulled from western state politicians where most federally managed lands are located. For example, Zinke represented Montana before leading the Interior Department — the federal government owns 30 percent of Montana lands. President Donald Trump announced Zinke’s resignation Saturday amid a flurry of ethics investigations into the former Navy SEAL’s tenure at the Interior Department. Zinke said he was stepping down because the legal costs of fighting allegations would become too high and distract from his leading the department. Bishop, Heller and Mead are among the top names under consideration, a former senior Interior official told E&E News Monday. Bishop was an ardent supporter of Zinke who also played a role in getting Trump to shrink the Bears Ears and Grand Staircase-Escalante national monuments. Republican U.S. 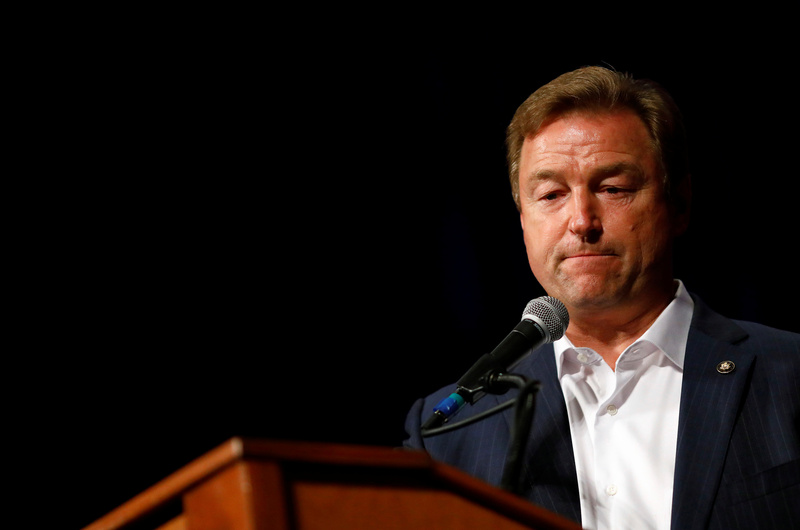 Senator Dean Heller concedes the race at his midterm election night party in Las Vegas, Nevada, U.S. November 6, 2018. REUTERS/Eric Thayer. Bishop will lose his committee chairmanship when Democrats take the House in 2019, but the eight-term congressman has not said whether or not he’s talked with the White House about replacing Zinke. Heller lost to Democratic opponent Jackie Rosen in the November election. “Whoever is selected as the next Secretary of the Interior, they must continue addressing the maintenance backlog on public lands, continue the effort to reorganize the department, and continue to engage state and local officials,” Bishop said in a statement to reporters. Bishop’s office did not respond to The Daily Caller News Foundation’s request for comment. “Secretary Zinke had the vision to start this process and his successor must have the knowhow to bring it to a conclusion,” Bishop said. Republican Idaho Rep. Raul Labrador is also among the top candidates being considered to replace Zinke. Trump is expected to appoint Interior’s Deputy Secretary David Bernhardt as acting head of the agency. U.S. Representative Raul Labrador (R-ID) talks to the media about U.S. Representative Paul Ryan (R-WI) after the House Freedom Caucus meeting on Capitol Hill in Washington October 21, 2015. REUTERS/Yuri Gripas. Other names reportedly under consideration include Republican Washington Rep. Cathy McMorris Rodgers, Republican Idaho Gov. Butch Otter, Nevada Attorney General Adam Laxalt, Utah Attorney General Sean Reyes, former Republican Wyoming Rep. Cynthia Lummis and outgoing Republican California Rep. Jeff Denham. However, a source close to McMorris Rodgers told Roll Call she’s “not interested” in heading the Interior Department, and a source close to the Trump administration told TheDCNF it’s “unlikely” that Otter is tapped to replace Zinke. A source close to Heller told a local news outlet he’s interested in replacing Zinke. Heller left open the possibility he’s pursuing the top job at Interior in an interview with the Las Vegas Review-Journal published Monday. However, Trump could decide to tap Bernhardt to become Interior’s full-time leader. Bernhardt is a former oil and gas industry lobbyist and experienced bureaucrat.